This little fellow proved a bit confusing recently when it was discovered by Police Officers in Cornwall during a warrant execution. After consulting the D&C Wildlife Crimes Group it transpires that it is a Common Marmoset and as such is not subject to any CITES (Convention in the Trade of Endangered Species) Laws. Conservationists fear a colony of endangered sea birds on the North East coast could be wiped out after eggs from breeding pairs were stolen. Last week we reported on a male, Keith Beavan, who had stolen Owls and birds of prey from Zoos across Europe, including our own Paignton Zoo. Well, Beavan, 68, from the Forest of Dean has been given a 40 week prison sentence, suspended for 18 months, a 12 week curfew and fines totalling over £16,000!! Read the whole story HERE. Driving around our counties recently I have noticed a lot of trees, hedges and verges behing cut, either by contractors or members of the public. Due to the weather many of our birds have a had a late breeding season, so if you are about to cut back your gardens or hedgrows, please consider that there may still be a few late nesting birds in them. Check first to avoid prosecution!! Thames Valley Police WCO made the news recently with a short article relating to 'Big Cat' sightings. We obviously have the same reports in our two counties and with probably THE most famous big cat, The Beast of Bodmin Moor, on our doorstep, its hardly surprising! 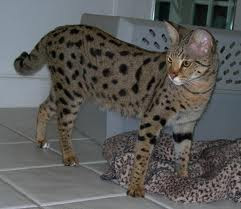 Fortunately most reports, whilst well intended, usually turn out to be large varieties of domestic cats, especially A1 Savannah and Bengal. Both of these species are kept as pets in the UK and not only grow to a huge size but are marked like one of their larger wild cousins! Of course, you never know, so we will always investigate when a big cat is reported to us! Love 'em or Hate 'em.........They are Protected!!! 'Seagulls' or to give them their correct name, Herring Gulls, have long been a 'bone of contention' for many of our seaside town residents. The 'sea rat' as it is often un-lovingly known and it's nest, eggs and chicks are often persecuted due to the mess they make. 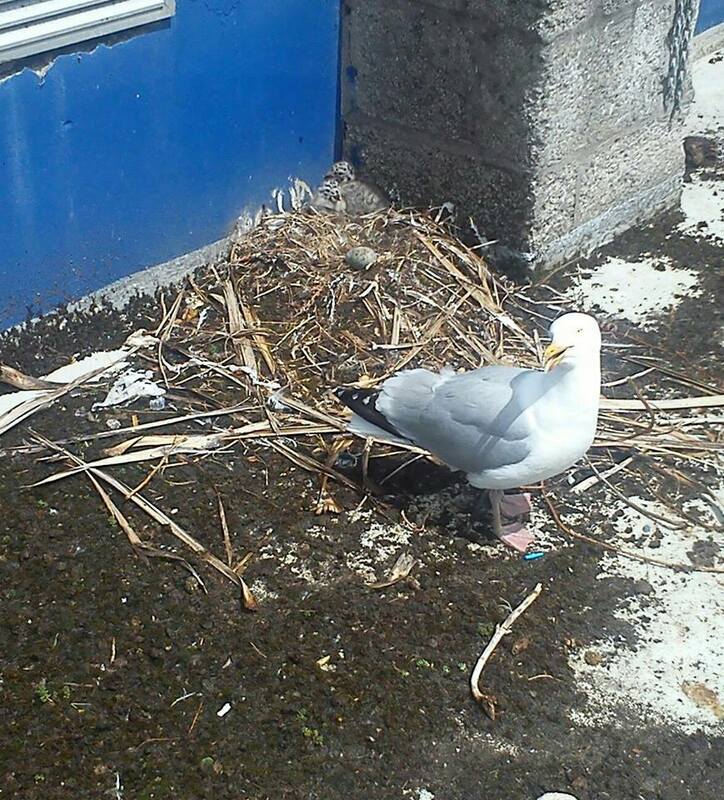 We are currently investigating two incidents of nest and egg destruction in St Ives, where the Gulls were nesting on flat roofs. Both incidents were witnessed by members of the public who quite rightly reported it to the police. It is an offence under the Wildlife and Countryside Act 1981 to intentionally destroy or disturb the nest, eggs or young of ANY bird and Herring Gulls are no exception. We have also had incidents of cruelty to chicks. Young birds, that had recently left the nest and were flightless, were ruthlessly kicked to death! Please report any incidents of Herring Gull persecution to the Wildlife Crimes Group by ringing 999 if the incident is in progress or alternatively on the non-emergency number 101. And Thank you once again!! Just a quick thank you from all of us the Wildlife Crimes Group to our visitors and readers for assisting in reaching our first 'milestone'. We have just topped the 1000th visitor marker!! We hope you have found the site useful on your visits and we will continue to keep you all updated with the incidents we deal with in D&C. Figures and statistics out this week show the new National Wildlife Crimes Unit website is going from strength to strength, with a little help from the Devon and Cornwall Wildlife Crime Group Blog!! 2% of all views on the NCWU are derived from this Blog's readers, so may we thank you for taking the time to visit our Blog and the NCWU website! The two Buzzards suspected of being poisoned recently near Sidmouth have now gone off to Natural England experts for post-mortem and we are awaiting the results. The birds were found in a water trough in a field near Sidmouth by walkers, who reported them to the police. The photos below show the birds in and out of the water. Anyone with information can contact the police on the non-emergency number, 101, quoting reference KS/13/256. The former owner of the National Birds of Prey Centre near Newent in Gloucestershire has been convicted of stealing rare owls from zoos. Keith Beaven, 68, of Staunton near Gloucester, was found guilty at Gloucester Crown Court of theft, fraud, and illegally selling birds. Beaven tricked various zoos in Europe into thinking he was still running the centre despite having sold it in 2008. He pretended he wanted to borrow the birds as part of a breeding programme. The court heard that Beaven deceived Paignton Zoo in Devon and zoos in Germany and the Czech Republic. He sold the birds after getting into financial trouble. At an earlier hearing he admitted stealing two northern hawk owls from a zoo in the Czech Republic, claiming he owned them and had authority to sell them. He was found not guilty of two charges relating to fraud and theft of owls from Dudley Zoo. He is due to be sentenced on 18 June. 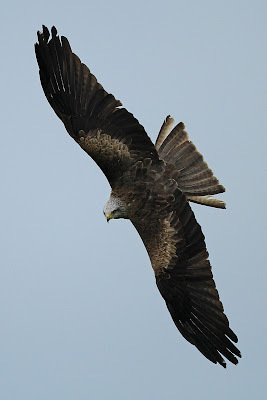 Every year in Cornwall we have a small influx of Red Kites into the county. 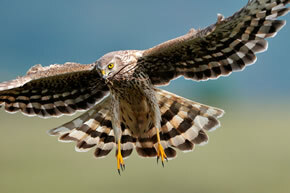 Today seems to be the start with ten birds reported across the county (see HERE for details). Ornithologists are unsure as to where the birds suddenly appear from but there are two trains of thought. Firstly, that they are first-year birds that have been displaced from the every growing breeding grounds in middle England or Wales or secondly that they are actually continental birds that leave northern France en-mass when the wind conditions are favourable and end up in the far west of the county, sometimes in large flocks! Fortunatley they are well recieved by humans and we have yet to have any reports of persecution during this phenomenon. The last week has been one of both tremendous highs and lows for us in Cornwall. I’m very sad to have to report the loss of our wonderful male chough from Southerly Point on the Lizard. Just over a week ago a volunteer witnessed two choughs locked in combat for the most part of the day, and it appears that the new younger bird has ousted and probably killed the older male. I always joke ‘they will live forever’ when people ask me how long the pair at Southerly Point will be around, but sadly choughs are not invincible and nature in all its rawness has won the day. An end of an era, and the loss of a very special bird. But, there is a happier twist to this tale. The new male, a bird often seen in the company of the Lizard pair, has adopted the old male’s chicks – extraordinary as normally a bird would try to kill any chicks that were not his. This is new behaviour, possibly not previously recorded for choughs. The female having invested so much time and energy in her new brood has accepted this new male and together they are feeding her two chicks, which are around two weeks old. Here’s hoping the female and her new mate will live for many a year. Talking of chicks, there are already chough fledglings, five youngsters took to the skies last week in Penwith. The crazy weather has really affected the breeding season with six weeks between first and last broods, the last chicks will not fledge until early July. The total number of young for this season is 16, two broods of five, and three broods of two. There are a further three pairs of choughs that have shown signs of breeding but they are too young this year. Hope this finds you all well, thanks for all your continuing interest and support for choughs.